Now we have seen multiple attempts at running virtual surround, but in this case Kingston did it right. They found the magic spot with the vibrance of the sound and the effects needed to properly simulate different environments. Even the echo effect was not overdone like we have seen in other products. 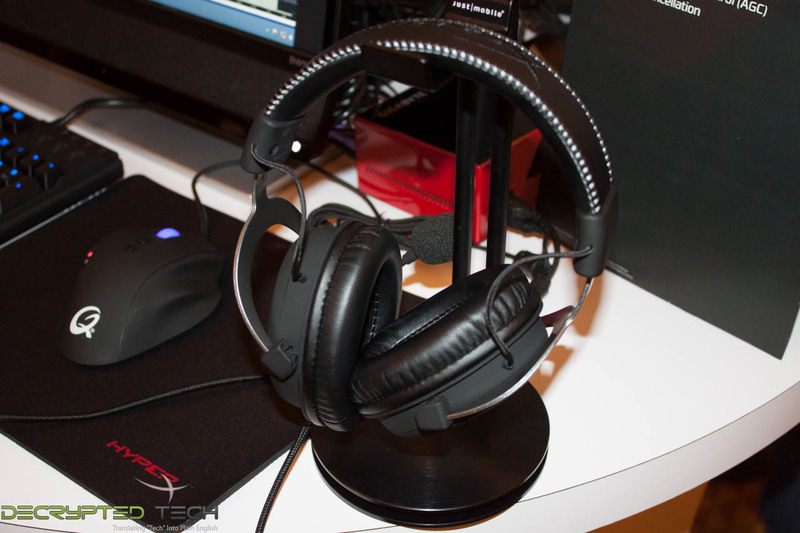 We are sure this is due to the sealed driver enclosures, but we will be able to further test that when we get back to the lab as Kingston gave us one of the new Cloud II headsets. Of course as a memory company Kingston was quick to direct our attention back to their SSDs, Flash drives and RAM. 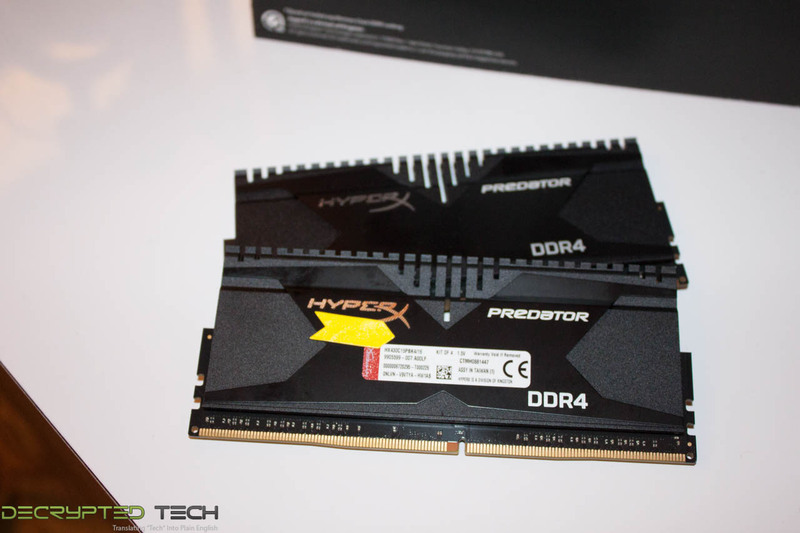 We were shown a very impressive DDR4 3000 kit that sported a whopping 64GB. 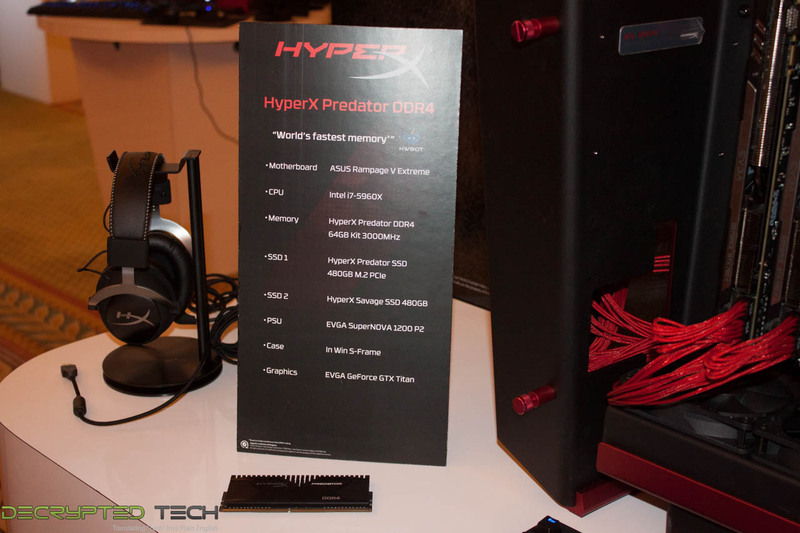 There was also some very quick DDR4 3333, but that is limited to 16GB for now. After these two kits we headed back into SSD territory where they showed us their new Phison S10 based 3k drive. 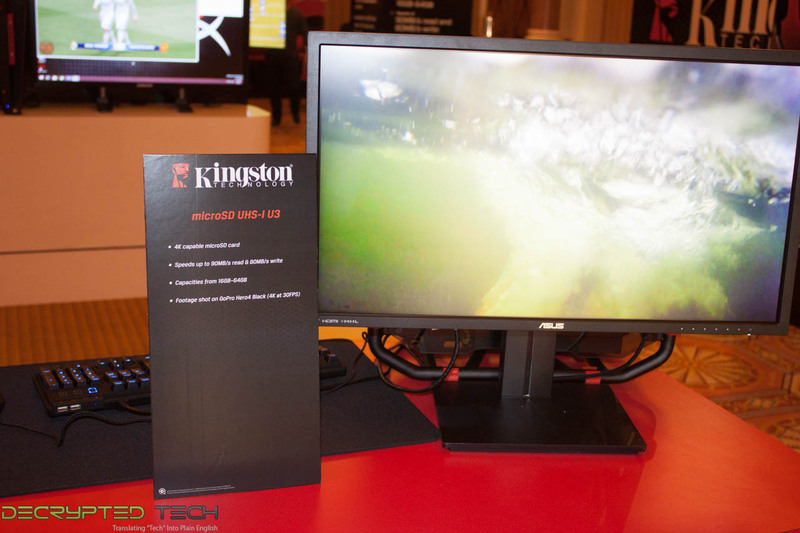 Kingston was also ready to show us their Predator PCIe based M.2 drives. 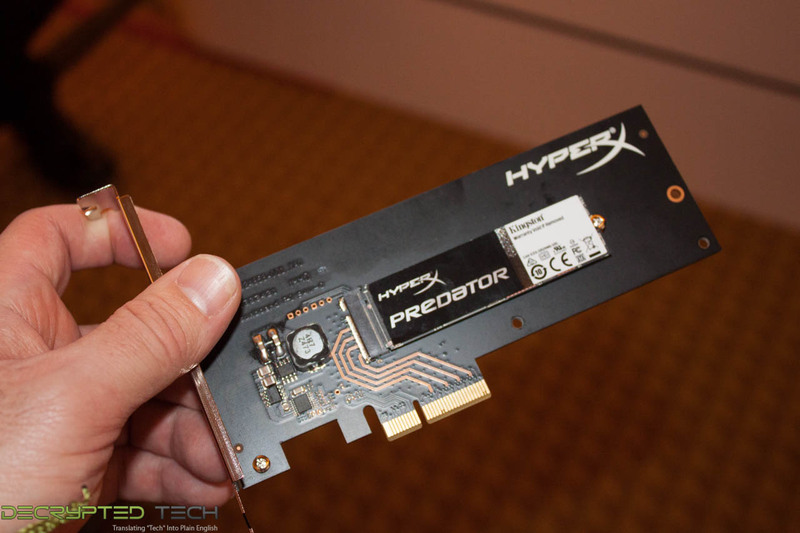 These are a little more powerful than the M.2 SATA drive we tested last year with red speeds around 1400MB/s. We hope to get one, or two, of these in the lab as soon as we can to try them out. They should be shipping in 120, 240, 480 and even 960GB sizes before the end of the year. One of the final items that we looked at was a Class 10, 4K certified, ruggedized, micro SD card. This card was built for the new line of GoPro cameras and if the demo we saw is any indication it is sure to be a big hit. 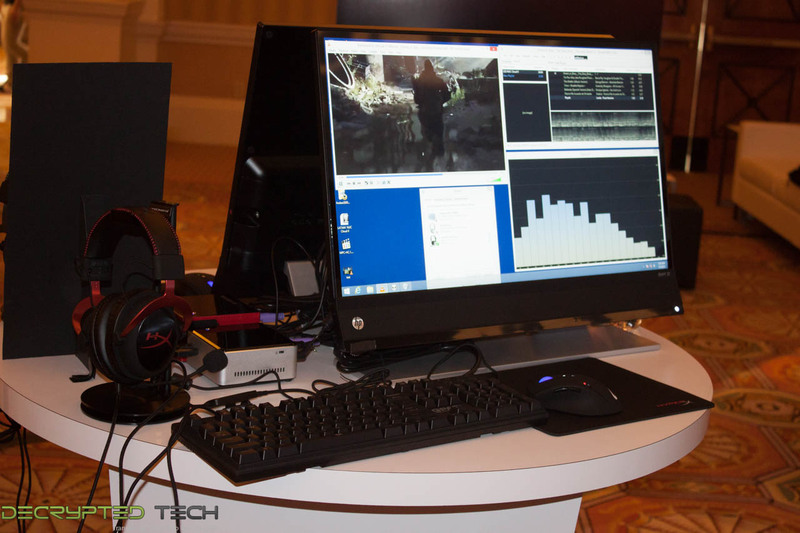 The performance was simply amazing, there was no stutter or lag in the 4k playback that we could see. We are sure there is more to come from Kingston in 2015 and what we saw is just the beginning.